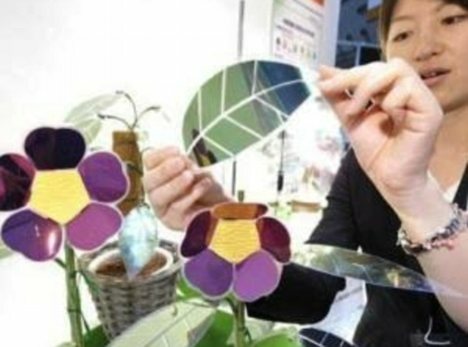 The artificial leaf shows particular promise as an inexpensive source of electricity for homes of the poor in developing countries. Our goal is to make each home its own power station. The device bears no resemblance to Mother Nature’s counterparts on oaks, maples and other green plants, which scientists have used as the model for their efforts to develop this new genre of solar cells. About the shape of a poker card but thinner, the device is fashioned from silicon, electronics and catalysts, substances that accelerate chemical reactions that otherwise would not occur, or would run slowly. Placed in a single gallon of water in a bright sunlight, the device could produce enough electricity to supply a house in a developing country with electricity for a day, Nocera said. It does so by splitting water into its two components, hydrogen and oxygen. The hydrogen and oxygen gases would be stored in a fuel cell, which uses those two materials to produce electricity, located either on top of the house or beside it. Nocera, who is with the Massachusetts Institute of Technology, points out that the ‘artificial leaf’ is not a new concept. The first artificial leaf was developed more than a decade ago by John Turner of the U.S. National Renewable Energy Laboratory in Boulder, Colorado. Although highly efficient at carrying out photosynthesis, Turner’s device was impractical for wider use, as it was composed of rare, expensive metals and was highly unstable — with a lifespan of barely one day. Nocera’s new leaf overcomes these problems. If work by a team of undergraduates at the University of Cambridge pans out, bioluminescent trees could one day be giving our streets this dreamlike look. The students have taken the first step on this road by developing genetic tools that allow bioluminescence traits to be easily transferred into an organism. Nature is full of glow-in-the-dark critters, but their shine is feeble – far too weak to read by, for example. To boost this light, the team, who were participating in the annual International Genetically Engineered Machines competition (iGEM), modified genetic material from fireflies and the luminescent marine bacterium Vibrio fischeri to boost the production and activity of light-yielding enzymes. They then made further modifications to create genetic components or “BioBricks” that can be inserted into a genome. The team managed to produce a range of colours by putting these genes into the Escherichia coli bacterium. They found that a volume of bacterial culture about the size of a regular wine bottle gave off enough light to read by. “We didn’t end up making bioluminescent trees, which was the inspiration for the project,” says team member Theo Sanderson, who is studying genetics. “But we decided to make a set of parts that would allow future researchers to use bioluminescence more effectively.” The team presented its findings earlier this month at the iGEM Jamboree, held at the Massachusetts Institute of Technology. Conceptual artist Matthew Mazzotta is using dog feces to power lampposts in a park in Cambridge, Massachusetts. Mazzotta’s Project Park Spark, which was funded through MIT and created in partnership with the City of Cambridge, comprises a special “methane digester” that converts freshly scooped poop into methane. 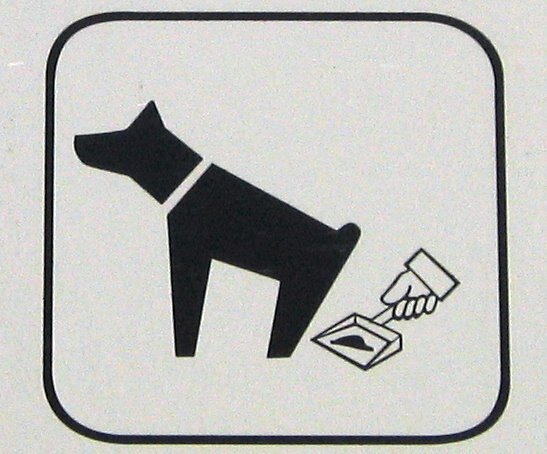 Dog owners collect their dog waste in a special biodegradable bag and throw it into the digester –- an air-tight cylindrical container, where the dog feces are broken down by anaerobic bacteria. A byproduct from that process is methane, which can then be released through a valve and burnt as fuel. In this case it is being used to power an old-fashioned gas-burning lamppost in a park. The artist is keen to make sure that the energy is used as the community wishes, and so in the next couple of weeks the Park Spark project will be a holding a number of design meetings to gather ideas from the community for how to best use the flame. Suggestions already include a shadow-projection box, a popcorn stand and a teahouse. Currently when organic material (including dog waste, food and plant matter) goes into landfill, it releases methane into the atmosphere. Methane is a potent greenhouse gas that is approximately 23 times more harmful than carbon dioxide. When it’s burned in the presence of oxygen, it separates into carbon dioxide and water vapor, so businesses can actually earn carbon credits from burning off excess methane. As a result, the digesters are a good way to collect and use the volatile gas as a fuel. In the future Mazzotta hopes to install permanent underground digesters in parks throughout the United States. Imagine that you could make hydrogen atoms do something that quantum mechanics says they can’t: slip into an energy state below the ground state, the collapse releasing 100 times as much energy as you’d get by just burning the hydrogen. If you could harness the heat to produce power, using hydrogen from water as fuel, you’d consume no oil, create no fumes, and solve the problems of energy and global warming forever. Of course, first you’d have to overturn a century’s worth of physical theory, prove your point experimentally, and demonstrate its feasibility in a prototype power-producing system. Yet this is precisely what a company called BlackLight Power says it has done. The company, based near Princeton, N.J., has raised US $60 million, equipped massive labs, hired two dozen employees, gotten some high-profile executives to serve on its board, and attracted a devoted following of fans to online discussion boards. Last year BlackLight announced that it had a prototype reactor capable of putting out 50 kilowatts of thermal power using a tiny amount of hydrogen. The company said that the device releases energy in one short burst and that it’s working to make the reaction continuous. It also said it planned to scale up for pilot operation sometime this year, estimating that its technology could produce electricity for under 2 cents per kilowatt-hour. That’s on a par with nuclear and coal power plants and considerably better than gas and petroleum plants. Is this real, or just fodder for a science-fiction TV show? Ask experts in atomic physics and you’ll hear that a new form of hydrogen is just fantasy. But turn to Randell Mills, the founder, chairman, chief executive, and president of BlackLight Power, and he’ll tell you that this lower-energy hydrogen, which he calls hydrino, is very real indeed. “We produce hydrino on demand,” he tells IEEE Spectrum, adding that his team has isolated and characterized hydrino’s properties using spectroscopy and has even created hydrino-rich materials it can provide for analysis. Mills is unfazed by the criticism, having faced down the physics establishment since he first put forward his hydrino theory some 20 years ago. A graduate of Harvard Medical School, he veered into physics after taking some courses at MIT in the late 1980s. His theory has been evolving since then. Not only does it explicitly reject quantum mechanics as it is currently understood, it also attempts to explain physics and chemistry “from the scale of quarks to cosmos,” as Mills puts it. Unlike quantum theory’s statistical approach, his theory is completely deterministic. No one keeps track of time better than Ferenc Krausz. In his lab at the Max Planck Institute of Quantum Optics in Garching, Germany, he has clocked the shortest time intervals ever observed. Krausz uses ultraviolet laser pulses to track the absurdly brief quantum leaps of electrons within atoms. The events he probes last for about 100 attoseconds, or 100 quintillionths of a second. For a little perspective, 100 attoseconds is to one second as a second is to 300 million years. But even Krausz works far from the frontier of time. There is a temporal realm called the Planck scale, where even attoseconds drag by like eons. It marks the edge of known physics, a region where distances and intervals are so short that the very concepts of time and space start to break down. Planck time—the smallest unit of time that has any physical meaning—is 10-43 second, less than a trillionth of a trillionth of an attosecond. Beyond that? Tempus incognito. At least for now. The trouble with time started a century ago, when Einstein’s special and general theories of relativity demolished the idea of time as a universal constant. One consequence is that the past, present, and future are not absolutes. Einstein’s theories also opened a rift in physics because the rules of general relativity (which describe gravity and the large-scale structure of the cosmos) seem incompatible with those of quantum physics (which govern the realm of the tiny). Some four decades ago, the renowned physicist John Wheeler, then at Princeton, and the late Bryce DeWitt, then at the University of North Carolina, developed an extraordinary equation that provides a possible framework for unifying relativity and quantum mechanics. But the Wheeler-­DeWitt equation has always been controversial, in part because it adds yet another, even more baffling twist to our understanding of time. No one has yet succeeded in using the Wheeler-DeWitt equation to integrate quantum theory with general relativity. Nevertheless, a sizable minority of physicists, Rovelli included, believe that any successful merger of the two great masterpieces of 20th-century physics will inevitably describe a universe in which, ultimately, there is no time. The possibility that time may not exist is known among physicists as the “problem of time.” It may be the biggest, but it is far from the only temporal conundrum. Vying for second place is this strange fact: The laws of physics don’t explain why time always points to the future. All the laws—whether Newton’s, Einstein’s, or the quirky quantum rules—would work equally well if time ran backward. As far as we can tell, though, time is a one-way process; it never reverses, even though no laws restrict it. The mother of all initial conditions, Lloyd says, was the Big Bang. 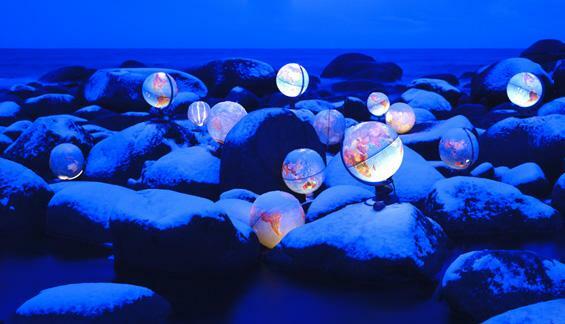 Physicists believe that the universe started as a very simple, extremely compact ball of energy. Although the laws of physics themselves don’t provide for an arrow of time, the ongoing expansion of the universe does. As the universe expands, it becomes ever more complex and disorderly. The growing disorder—physicists call it an increase in entropy—is driven by the expansion of the universe, which may be the origin of what we think of as the ceaseless forward march of time. Time, in this view, is not something that exists apart from the universe. There is no clock ticking outside the cosmos. Most of us tend to think of time the way Newton did: “Absolute, true and mathematical time, of itself, and from its own nature, flows equably, without regard to anything external.” But as Einstein proved, time is part of the fabric of the universe. Contrary to what Newton believed, our ordinary clocks don’t measure something that’s independent of the universe. In fact, says Lloyd, clocks don’t really measure time at all. Rovelli, the advocate of a timeless universe, says the NIST timekeepers have it right. Moreover, their point of view is consistent with the Wheeler-DeWitt equation. “We never really see time,” he says. “We see only clocks. If you say this object moves, what you really mean is that this object is here when the hand of your clock is here, and so on. We say we measure time with clocks, but we see only the hands of the clocks, not time itself. And the hands of a clock are a physical variable like any other. So in a sense we cheat because what we really observe are physical variables as a function of other physical variables, but we represent that as if everything is evolving in time. By “big things,” Rovelli means anything that exists much above the mysterious Planck scale. As of now there is no physical theory that completely describes what the universe is like below the Planck scale. One possibility is that if physicists ever manage to unify quantum theory and general relativity, space and time will be described by some modified version of quantum mechanics. In such a theory, space and time would no longer be smooth and continuous. Rather, they would consist of discrete fragments—quanta, in the argot of physics—just as light is composed of individual bundles of energy called photons. These would be the building blocks of space and time. It’s not easy to imagine space and time being made of something else. Where would the components of space and time exist, if not in space and time? Rovelli senses another temporal breakthrough just around the corner. “Einstein’s 1905 paper came out and suddenly changed people’s thinking about space-time. We’re again in the middle of something like that,” he says. When the dust settles, time—whatever it may be—could turn out to be even stranger and more illusory than even Einstein could imagine.